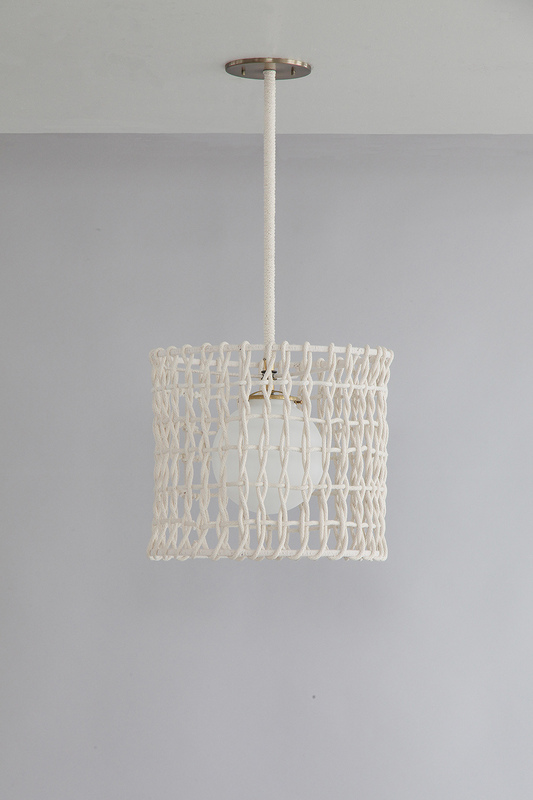 Drum shade hand woven in rope, suspended from wrapped rope stem, and lit within from a glass globe diffuser. 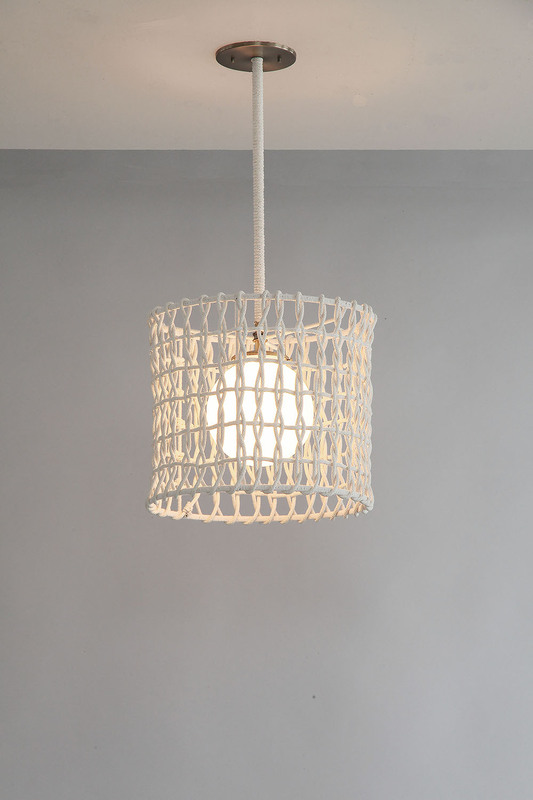 *Shade size can be specified. Please inquire for other possible shapes.